Text kstansfield to 85377 for my digital business card! 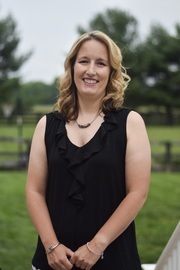 Kelli joins Exit Preferred Realty after 15 years of teaching in Cecil County Public Schools. Her service and education in this field makes for a natural fit in the real estate industry. Born and raised in Cecil County, she takes pride in finding her clients a perfect home. She is known for her honesty and hard working personality. She especially enjoys helping new home buyers, selling historic homes and farms. In her free time, she loves being outdoors (hiking, fishing, kayaking, etc) with her family of 6.